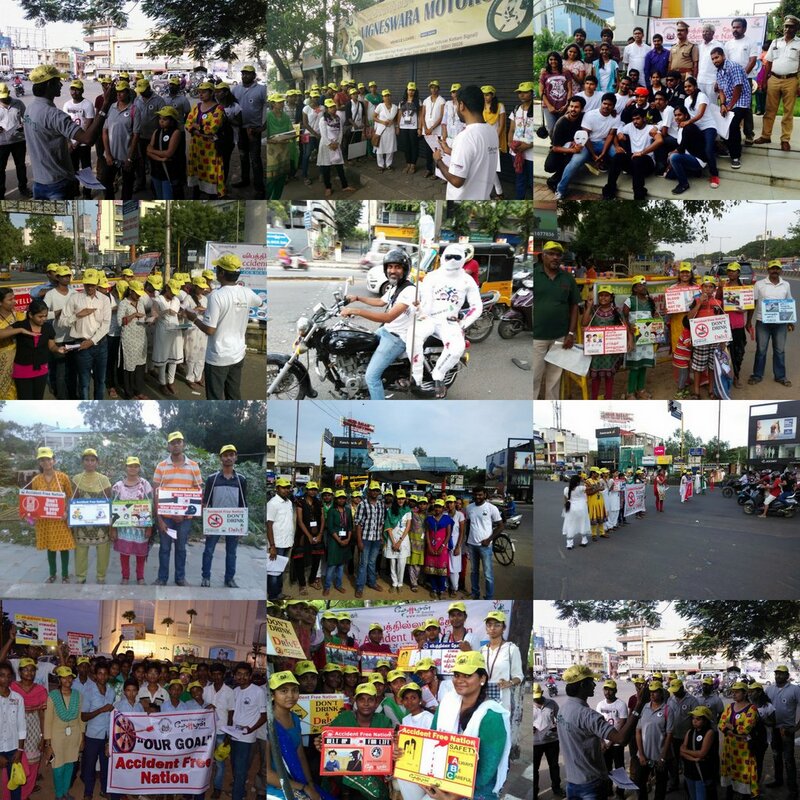 We are happy and proud for each and everyone of your participation on making this event grand success, Road safety awareness campaign happened on 100 signals in all over Chennai signals with total of 2000+ volunteers. Event was inaugurated by Tmt.Letika Saran IPS, Director General of Police (Retd.) Mr Anwar Basha, Assistant commissioner of police-traffic as the Chief Guest. We have distributed 1Lac pamphlets and pasted 50 thousand head light stickers to create more awareness. I am sure each of your 2-3 hours contribution saved many lives and accidents today, Also you become a role model today for whole chennai citizens.